Trends come and go in the fitness industry but one recent trend that has some staying power is our EMT classes. Military training takes your fitness to the next level. This is an advanced class aimed at building on techniques and exercises to create a unique functional workout. Our strength and conditioning coaches, Vas Rajan and Silvana Taffo, both ensure the classes challenge your abilities physically and mentally, and allow you to push your fitness boundaries in a safe way. 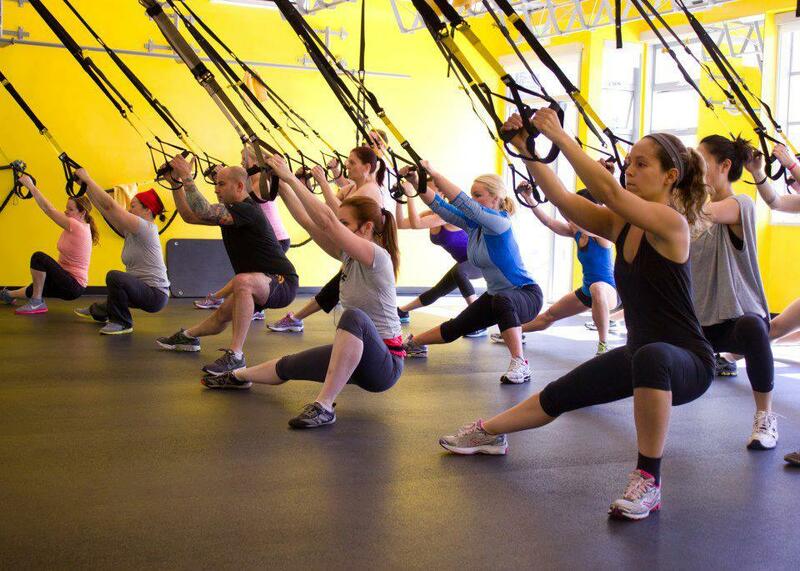 TRX suspension cables are incredibly versatile and portable tools that can provide you with a total-body workout. The TRX Suspension Trainer is the original, best-in-class workout system that leverages gravity and your bodyweight to perform hundreds of exercises. You're in control of how much you want to challenge yourself on each exercise - because you can simply adjust your body position to add or decrease resistance. The coaches will modify exercises specific to your bodily needs, making it a safe and effective way to work through an injury or other chronic issue. Using your own body weight, TRX suspension cables, and other weights, this class is designed to build muscle and burn fat. You will be in a class with a maximum of 12 people, allowing for more one-on-one attention throughout the class. The strength and conditioning coach will assure that you progress through the stages safely while maximizing your efforts. See our schedule for times and classes HERE.